The House of Stuart is a noble family of Scottish origin that eventually became monarchs of Scotland, England, Ireland, and Great Britain. 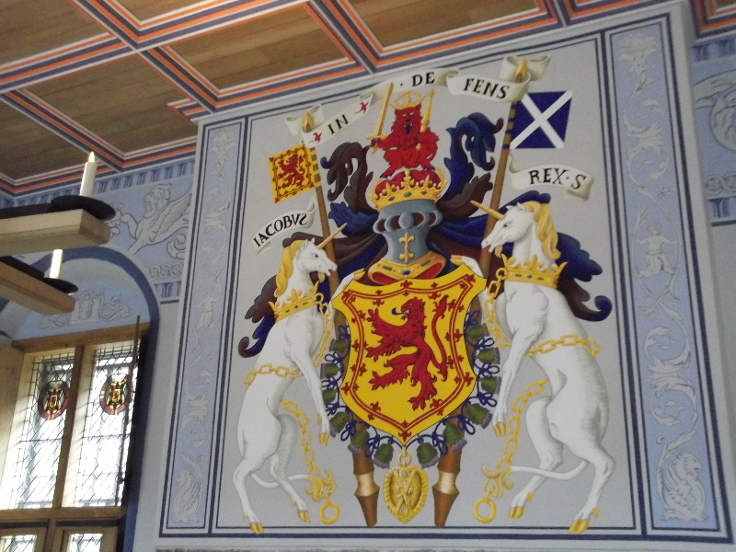 This is their coat of arms as displayed at Stirling castle. A coat of arms is a visual design normally on a shield tabard or tapestry. The coat of arms is normally unique to an individual person or family and reflects their heroic deeds or values.